the babies are quite advanced. This nest is made of mud and dried grass. 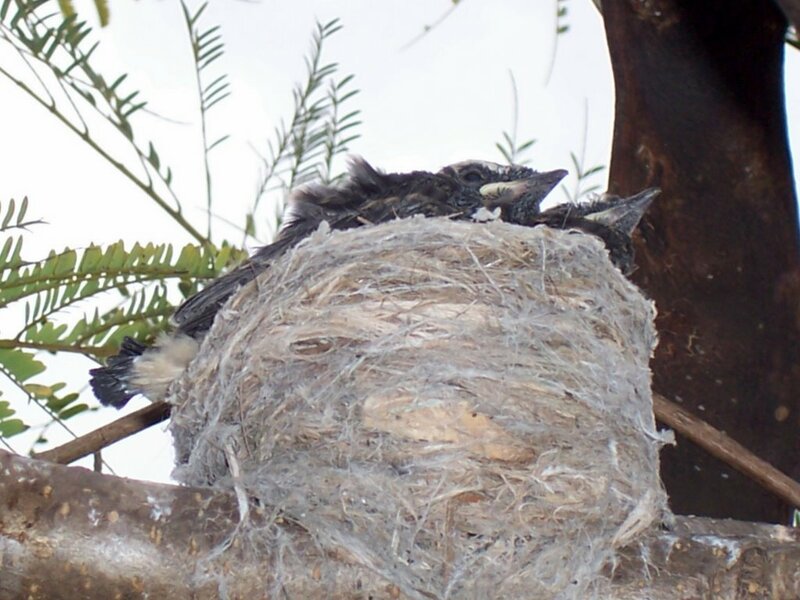 Its proper name is "Pied Mudlark"
This little nest belongs to the Willy Wagtail or "Pied Flycatcher"
The nest is made of Spider Web and lined with soft leaves. 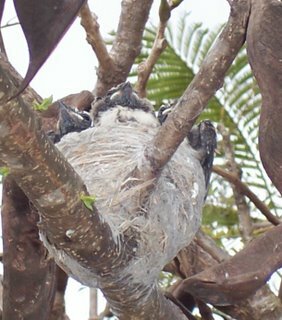 It is the size of a small teacup and has four babies in it!! 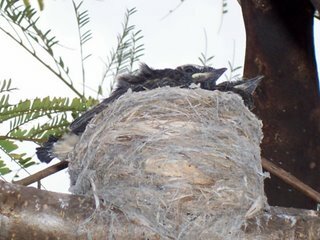 Sadly there is a tragic end to this story - the very next day when Karen and Peter visited the tree, the Willy Wagtail's nest, babies and all , was gone!! The culprits proved be to be some Crows. 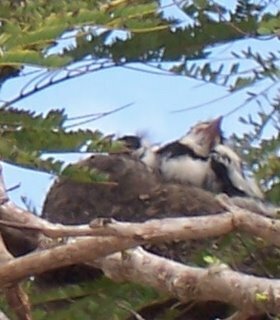 The parent Willy Wagtails kept returning to the tree, searching and searching for their nest and their babies - Peter then saw them actually chasing Crows away from the tree a day or so later. I haven't heard if the Pee Wees survived or not. Looks so nice there. I'd love to have a Kangaroo and her baby in my back yard( not much room, but they are welcome)! Thanks for posting pictures for us over here to enjoy! 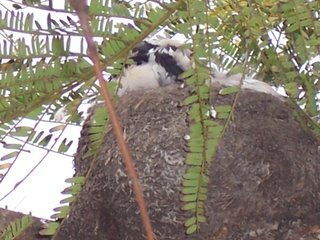 same thing happened to me a couple of weeks ago with the baby yellow faced honeyeaters in a nest on the verandah. Probably magpies!